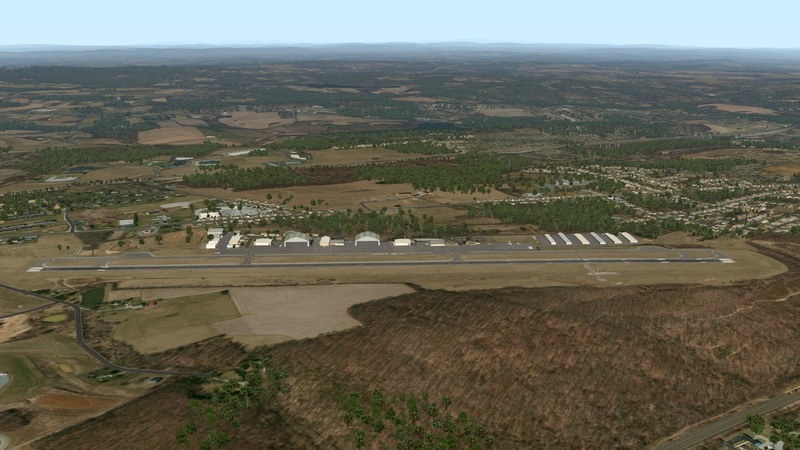 KMQS Chester County G. O. Carlson Airport is my second attempt at scenery design. 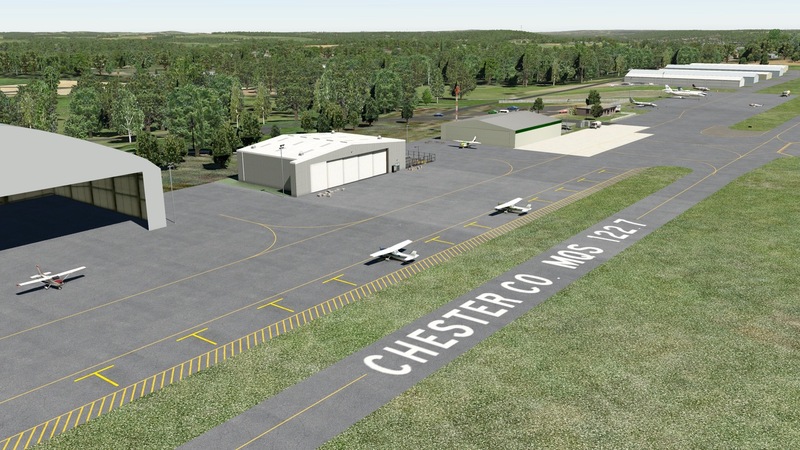 “Chester,” as it is called locally, is a nearby field often used for pattern work by new students, thanks to its wide and long runway (which also makes it a favored stop for corporate jet traffic destined to the western Philadelphia suburbs). 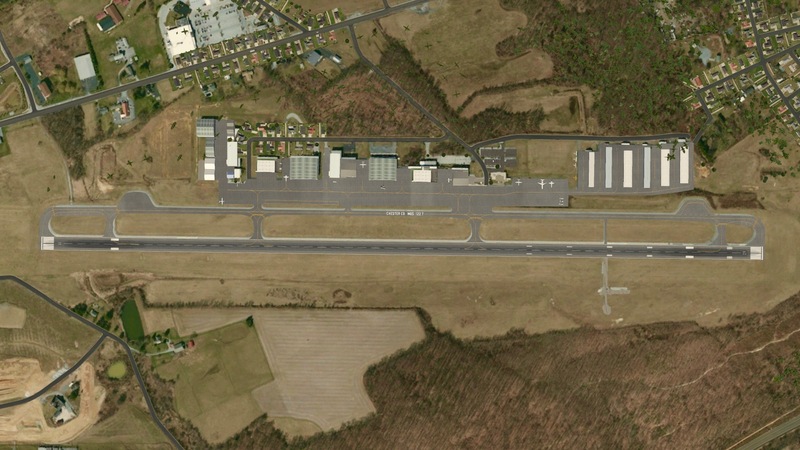 This was a more ambitious project than Brandywine, in part to the much larger network of ramps and taxiways, and the much larger number of hangars on the property. 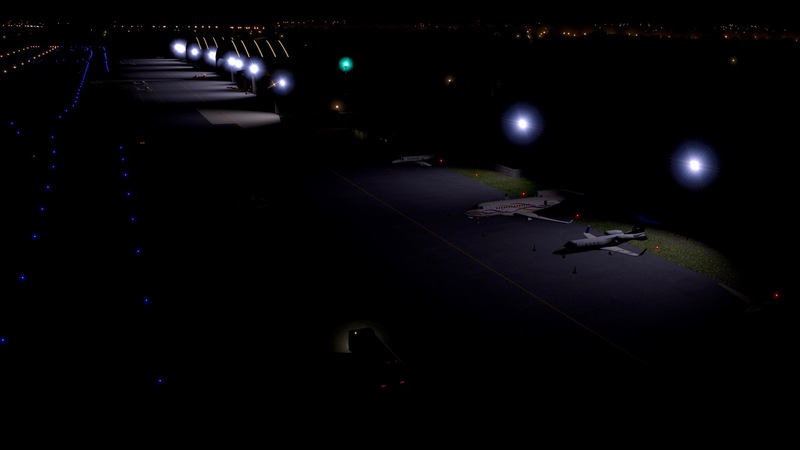 I think it turned out well, and if you would like to download the airport you may do so here. 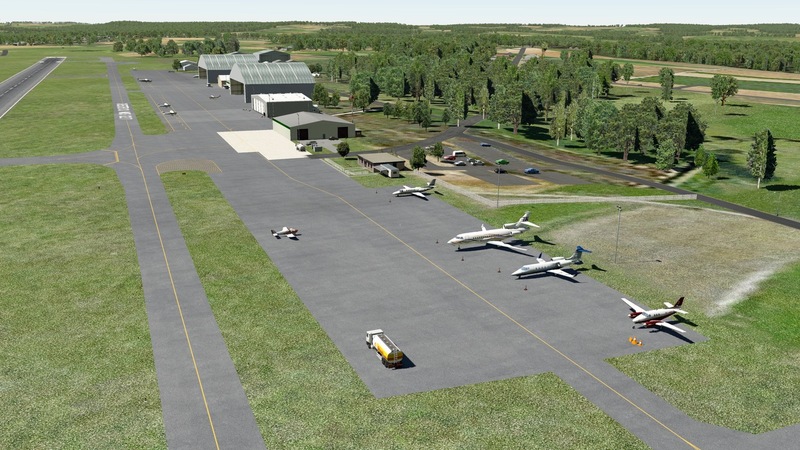 Just uncompress it and put the content folder in your X-Plane Custom Scenery folder. 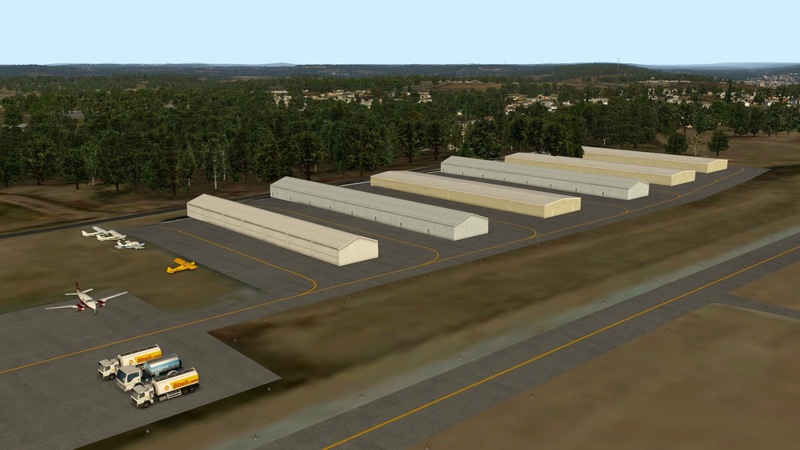 It also greatly benefits from the MisterX Airport Environment HD pack, which you may get for free here, and note that the photos below are with HD photo scenery underneath. 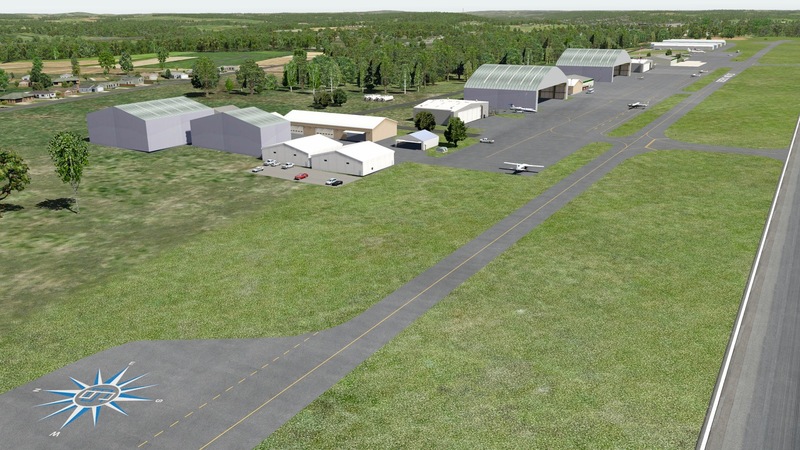 Realignment of all surface areas to better match real-world coordinates. And a few other changes here and there. 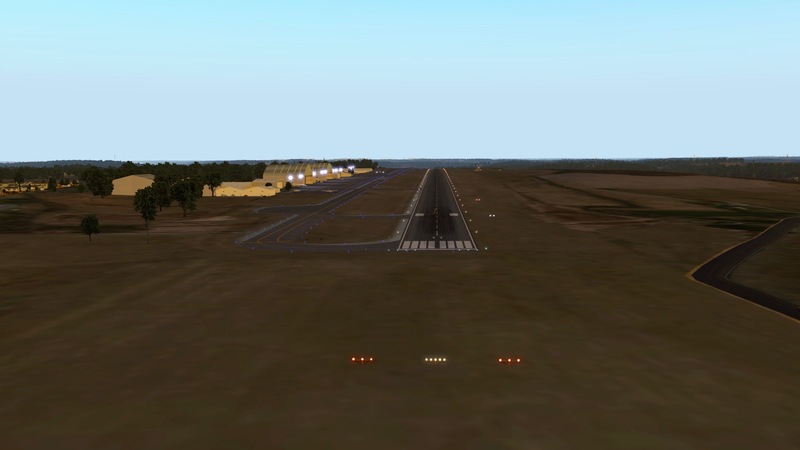 Thanks for downloading, and happy flying.